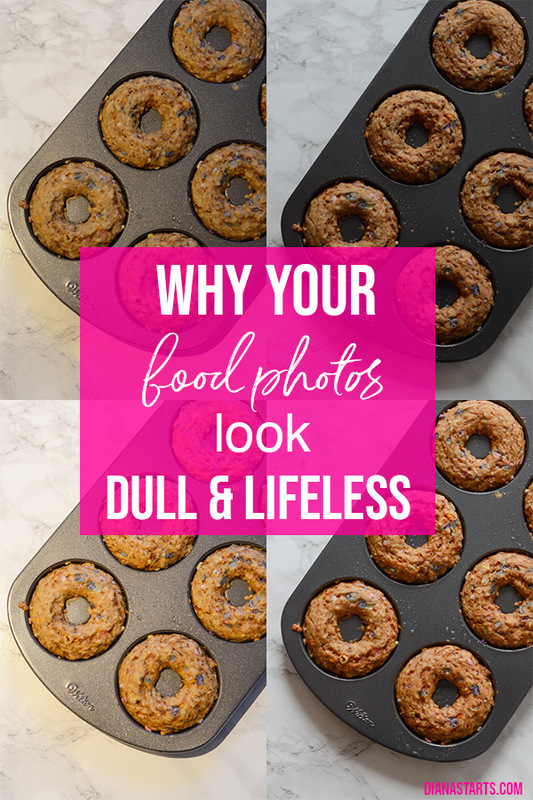 Wondering Why Your Food Photos Look Dull and Lifeless? I have the answer for you. Recently, I put out a food photo poll, and many of you said your greatest food photography challenge was around photo colors. Here’s some of your feedback. Responses to the question: What’s your biggest challenge when it comes to taking food photos? You guys…the struggle is real. And it was my struggle many years ago too. But over the years, I took photography lessons, read countless tutorials (even some books), did every photography session I could at blog conferences, got tips from friends, analyzed my own photos over and over, and basically did everything I could to improve my food photography. And I still do. It’s a struggle, but it’s a struggle I love. The challenge is actually fun for me. But enough about me being a photography geek. Although I talk about a diverse set of topics here on The Chic Life, I thought the answer to this question best fit over on my content creators blog, Diana Starts. If you’re interested in food photography (or even photography in general), I’d love for you to consider giving it a follow. If you want to see some of my food photography, it’s probably easiest to check out this view of my recipes. Each post has several photos, so I recommend clicking into the recipe post to see bigger photos. And the food photo poll is still up if you want to add some feedback. Thank you so much for reading and happy food photography!